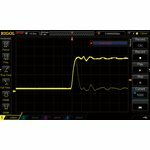 Logic Analyzer Software Option for SIGLENT SDS2072X, SDS2074X, SDS2102X, SDS2104X, SDS2202X, SDS2204X, SDS2302X, SDS2304X digital oscilloscopes. 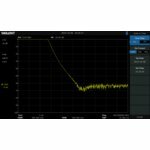 VSWR / return loss / S11 / S22 measurement option (used together with the VB1020 and DSA800-TG options) for DSA800 series spectrum analysers. 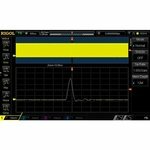 Waveform record and play option for digital oscilloscopes RIGOL DS1054Z, DS1074Z, DS1074Z-S, DS1104Z, DS1104Z-S.
Options Bundle (MEM-DS2000, AT-DS2000, SD-DS2000, CAN-DS2000) for RIGOL MSO/DS2000A series oscilloscopes. 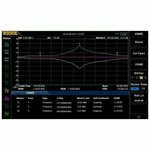 Preamplifier option for RIGOL DSA1030, DSA1030A, DSA1030-TG3, DSA1030A-TG3 Spectrum Analyzers. 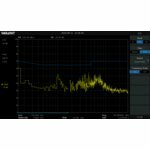 Advanced trigger option for digital oscilloscopes RIGOL DS1054Z, DS1074Z, DS1074Z-S, DS1104Z, DS1104Z-S and RIGOL MSO1104Z, MSO1104Z-S, MSO1074Z, MSO1074Z-S. 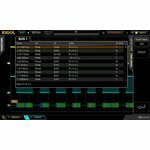 Deep memory option for digital oscilloscopes RIGOL DS1054Z, DS1074Z, DS1074Z-S, DS1104Z, DS1104Z-S and RIGOL MSO1104Z, MSO1104Z-S, MSO1074Z, MSO1074Z-S.
Options Bundle (AT-DS1000Z, MEM-DS1000Z, REC-DS1000Z, SA-DS1000Z) for RIGOL DS1000Z/MSO1000Z series oscilloscopes. 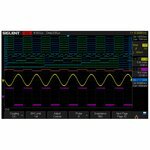 MSO function software option for SIGLENT SDS1000X series oscilloscopes. 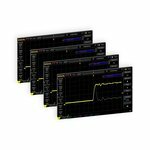 Adds 16-channel, 500 MSa/s, 14 Mpts Logic Analyzer. Does not include a logic probe. Software for decoding IIC, SPI, UART/RS232, CAN, LIN used with SIGLENT SDS2072X, SDS2074X, SDS2102X, SDS2104X, SDS2202X, SDS2204X, SDS2302X, SDS2304X digital oscilloscopes. 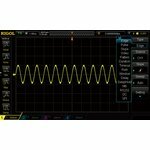 Increases the maximum arbitrary waveform length to 16 Mpts. 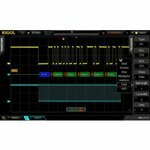 Compatible with RIGOL DG1032Z, DG1062Z function / arbitrary waveform generators. 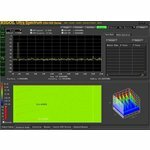 PC Software for RIGOL DSA700, DSA800, DSA1000 and DSA1000A series spectrum analyzers to be used within the UltraSigma package. 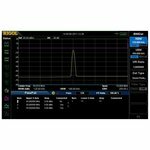 Advanced measurement kit for measuring ACPR, OBW, CP, TDP in RIGOL DSA800 series spectrum analyzers. 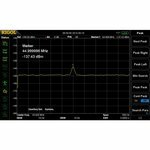 Electromagnetic Interference Filter and Quasi-Peak Detector Kit for RIGOL DSA815 Spectrum Analyzer. 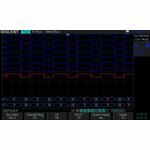 Serial data decoding and trigger option for DS2000/DS2000A series digital oscilloscopes and MSO2000A series mixed signal oscilloscopes. 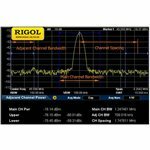 Preamplifier option (100 kHz to 7.5 GHz) for RIGOL DSA875, DSA875-TG Spectrum Analyzers. 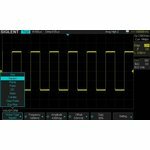 Software for decoding IIC, SPI, UART/RS232, CAN, LIN used with SIGLENT SDS1102X+, SDS1202X+ digital oscilloscopes. Tracking Generator Kit for SIGLENT SSA3000X series spectrum analyzers. 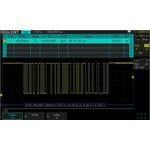 Electromagnetic Interference Filter and Quasi-Peak Detector Kit for SIGLENT SSA3000X Spectrum Analyzers.